No matter what anyone says, at the end of the day the Ford Mustang offers car enthusiasts the greatest bang for their buck when it comes to affordable performance. With the GT model coming with 420 HP from the factory while weighing in at around 3600 lbs (varying slightly for certain options), the Mustang delivers an incredibly competitive power to weight rating; however, this is something that can always be improved. Typically, when one is looking to improve their power to weight ratio they go with the tried and true method of adding more power via a supercharger, nitrous, turbocharger, etc. While this is incredibly effective, it is not the only way to improve your power to weight ratio. Reducing your existing weight will also improve the ratio while also making your car more nimble. Whether your Mustang spends its time at the drag strip, an autocross/road course, or on the street daily driving, weight reduction will benefit any Mustang owner. In the quarter mile every single pound counts, so the more weight you can remove the better. 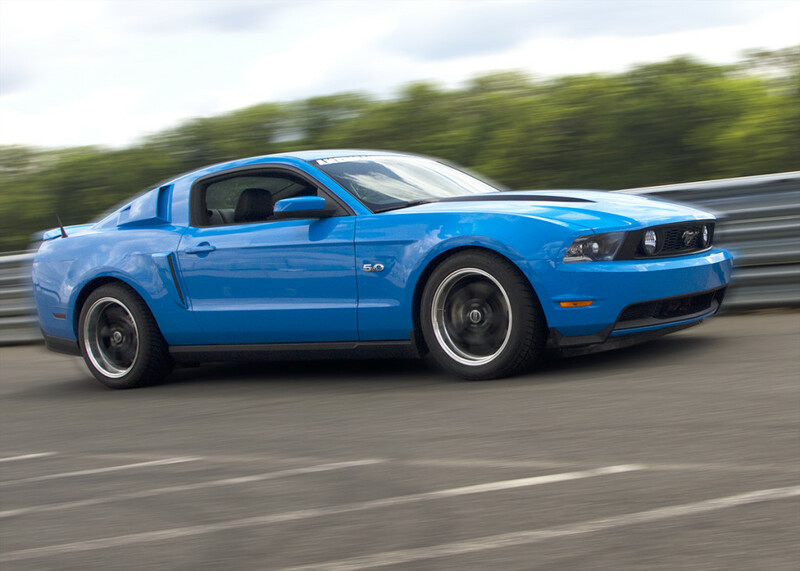 On an autocross/road course extra weight will throw off your Mustang’s handling, giving you a slower time. On the street, removing the surplus weight will improve your Mustang’s fuel efficiency. To reap the benefits of weight reduction you do not need to go “full racecar” and completely gut your Mustang down to the chassis. Through the use of carefully chosen modifications, you can improve your power to weight ratio while retaining comfort and drivability. We go through a small list of those modifications below to help you improve your performance and your enjoyment. A big factor in any car’s performance and handling is its weight distribution. As it sits in stock form, the 2010-2014 Mustang has a 54/46 weight distribution, which means 54% of the weight is in the front and 46% of it is in the rear; ideally, you want to be at a 50/50 ratio. To improve the front/rear weight distribution on your Mustang, you need to remove some of the weight over the front axle. 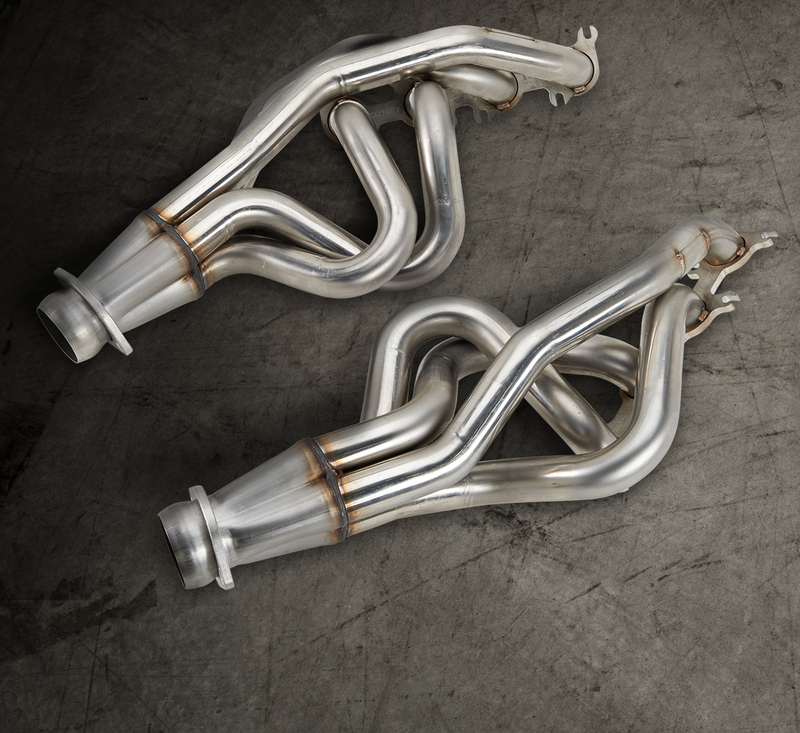 A set of stainless steel long tube headers like those offered by Stainless Works or Kooks will shave a small chunk of weight off the nose, especially when paired with an aftermarket tubular K-Member. The stock factory seats can add a good bit of weight to your Mustang (Track Pack Recaros are the exception). With all of the hardware, motors, heaters, and other equipment in them, they add a decent amount of weight. Removing the rear seats with a seat delete kit will save you a few pounds while cleaning up the look of the interior. For the front, a set of seats like Corbeau CR1’s are a great way to remove unneeded weight while not sacrificing comfort for daily driving. The Mustang’s stock 2-piece drive shaft carries with it a decent amount of weight, robbing your rear wheels of power due to drivetrain loss. 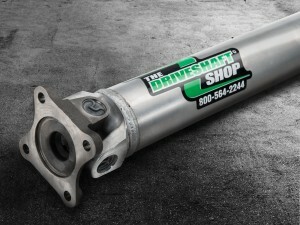 Switching to an aftermarket driveshaft like The Driveshaft Shop’s one-piece carbon fiber driveshaft will reduce drivetrain loss while also reducing weight and making your engine more rev happy. By comparison, the stock driveshaft weighs a whopping 39lbs vs. its 19lb carbon fiber counterpart. With a lighter driveshaft your engine will not have to work as hard to get into the power band, allowing you to hit those peak power numbers before the rest of the competition.